Have a cup of coffee in our reception area and feel at home! We customize our treatment to your needs. At our relaxing and friendly office, we treat every patient with respect and offer the highest quality care based on your needs and best interest. 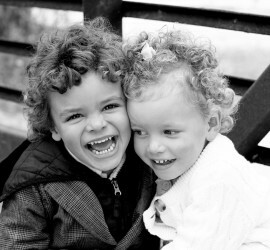 Let Dr. Nadia Filice help you and your family maintain great smiles. We offer comprehensive general and cosmetic services to help you achieve the smile you've dreamed of. Questions? An emergency? Want to book an appointment? 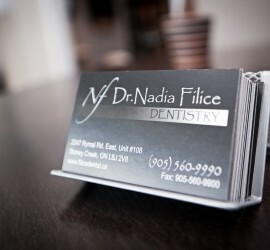 Contact us today: phone, email, or @FiliceDental. We're here to help!